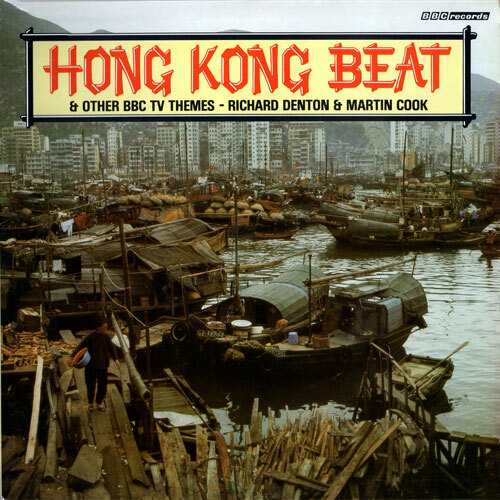 Saving the best for last, here's a fresh rip of Hong Kong Beat & Other BBC TV Themes - Richard Denton & Martin Cook which I found only recently and what's more, for a sensible price after a fair amount of searching. All the 7" singles I've posted here are repeated in the track-listing, plus the one that got away, the theme tune to The Great Egg Race. A fine body of work, a great pity that there was never any more released. What a cracking find, and thanks for sharing it! I used to have this on cassette until it went walkies a few years ago. Surprised it hasn't been licenced by someone for a CD release. 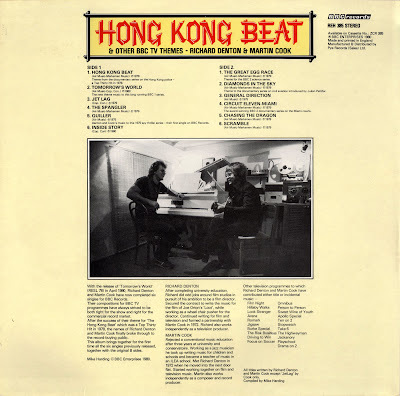 Every track is a gem - some are really EXCELLENT - and they fairly crackle with melody too. Very memorable tunes. If you've never heard this LP, give it a try. Cheers Simes, it's a cracking album isn't it? Been on heavy rotation since I ripped it. Cheers Mr P - you da man! Er, ape. Lotso fine BBC LPs today, Senor Primate. Thanks for sharing these! I don't suppose this has been re-upped anywhere has it? Been looking for this for literally years and found it on your blog this evening, only to find the link deleted! Hi Deano, glad you're enjoying the Ripped Yarns! I've just checked, the link still works for me? Please let me know if you still experience any trouble or find any other links that are faulty. The Youtube link still appears to be down for me.. Unless of course I'm doing something completely odd! Oh I thought you meant the dl link naturally. Here you go.